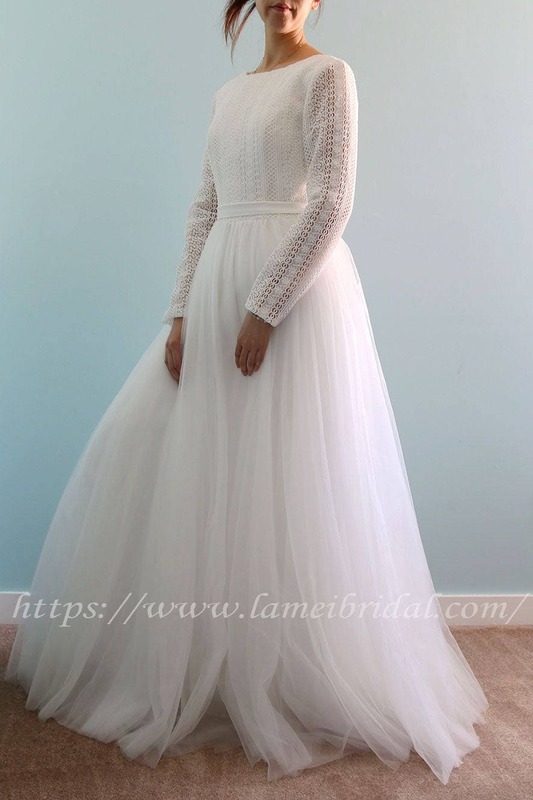 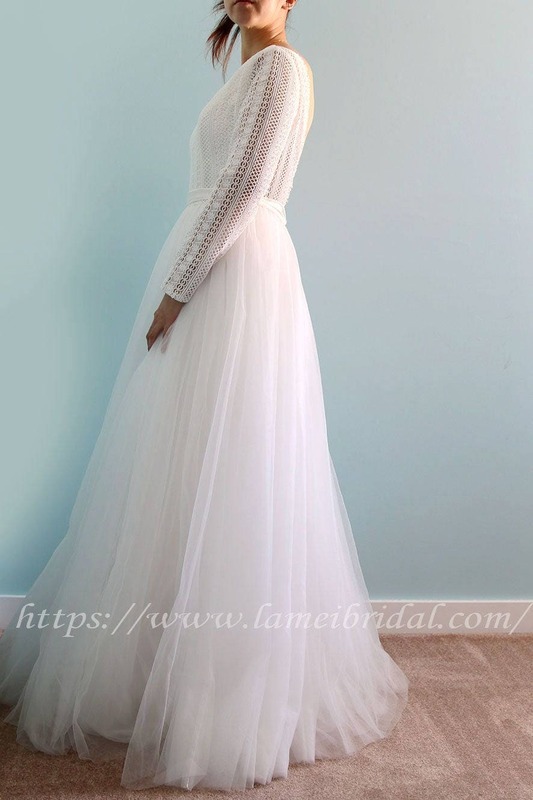 One of our best hand-made ​​wedding gowns with added long sheer lace sleeves. 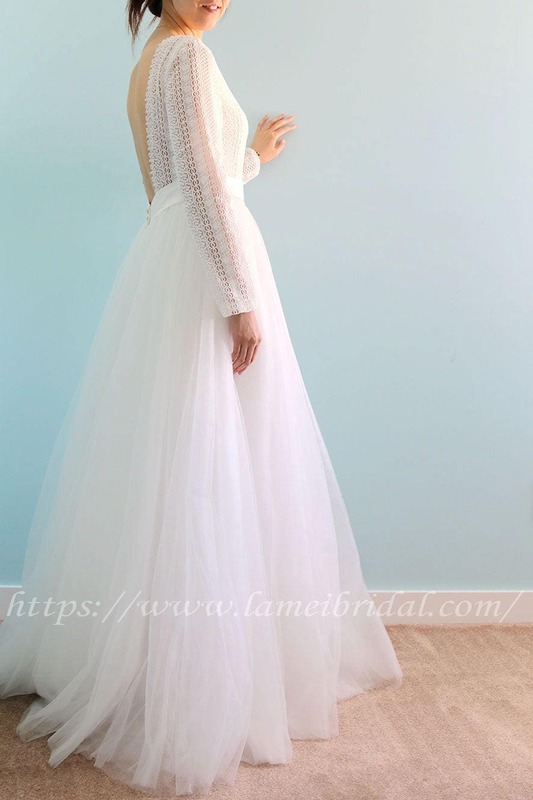 Featuring a stunning open back edged with delicate little white flowers, fitted French style lace body and a relaxed floaty tulle skirt with a naturally elegant sweep. 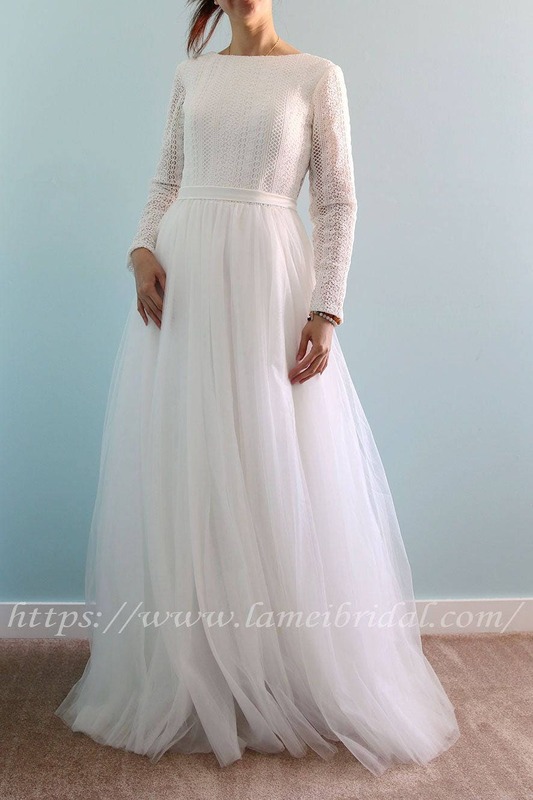 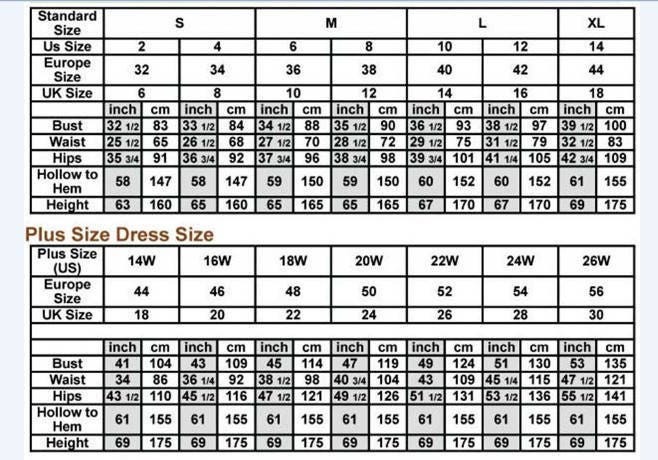 It has the ideal balance of sophistication, simplicity and natural beauty and is such a stunning dress. 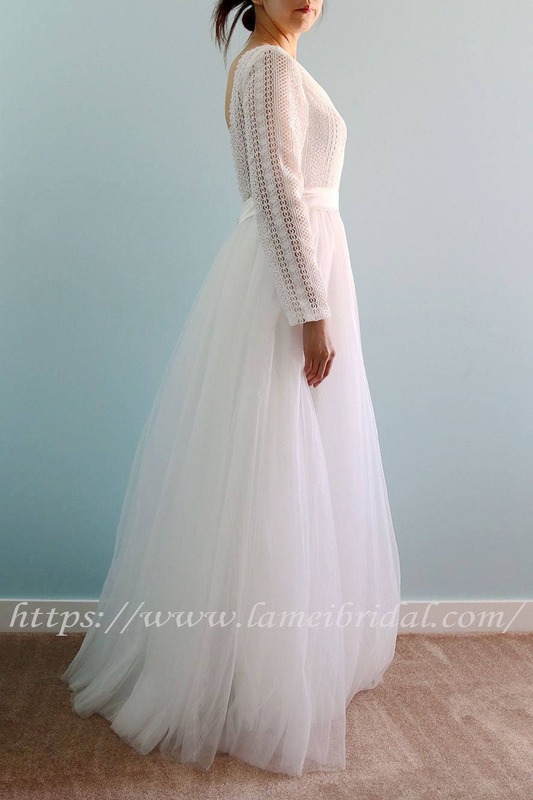 it is a true classic and can be dressed up or down for a casual wedding or more traditional. 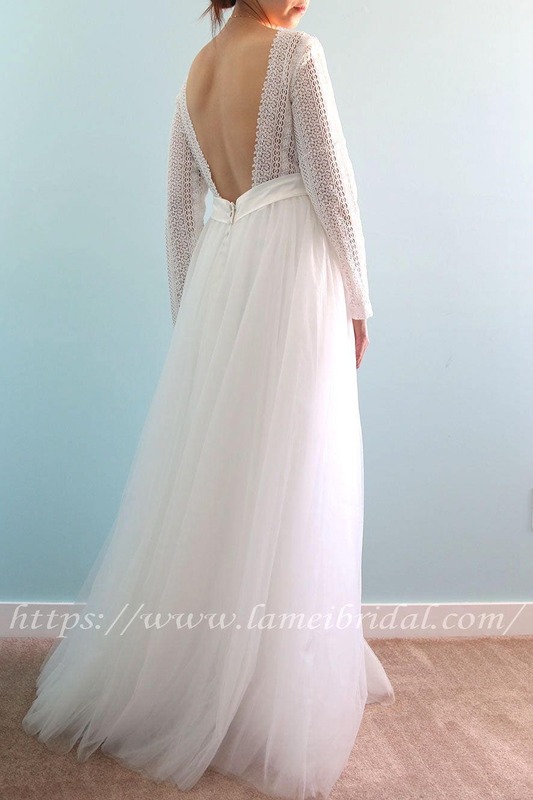 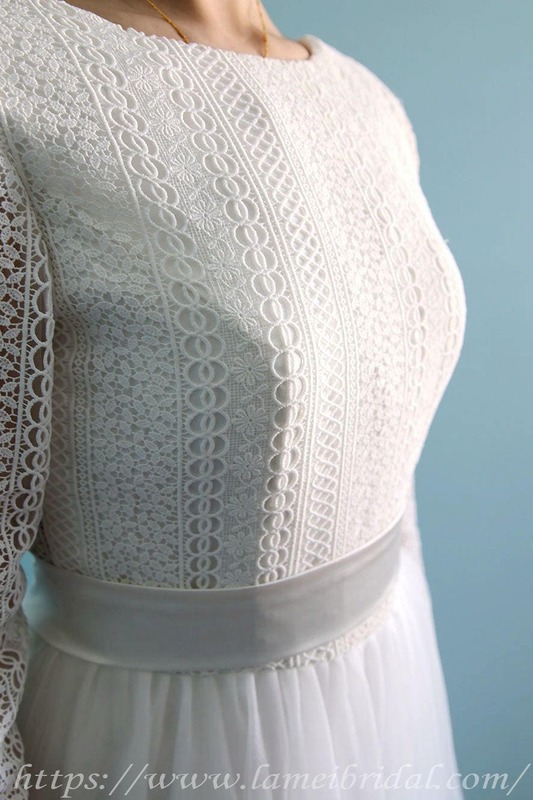 The sheer lace sleeves on the skin is so beautiful.